A poverty-stricken thief stole goods from two stores because he was hungry and claimed during one of the thefts he only had £2 to his name. Chesterfield magistrates’ court heard on July 4 how Antanas Danielius, 31, of Worcester Close, Clay Cross, stole food from Tesco, at Clay Cross, and bottles of spirits, shoes and a packet of lamb steaks from Tesco Extra, on Lockoford Lane, Chesterfield. Prosecuting solicitor Sam Matkin said: “He was seen to enter the Tesco, at Clay Cross, with a Bag for Life and collect grocery items and attempt to leave without making any payment and he was detained outside the store. The value of the goods involved was £81.98. Danielius committed the second offence while he was on bail when he struck at Tesco, on Lockoford Lane, Chesterfield, and stole £154 worth of goods. Mr Matkin added: “He was seen removing tags from bottles of spirits at the Tesco Extra and placing the bottles in a rucksack and he paid for two bottles of lemonade but made no attempt to pay for the other items in his rucksack. Danielius pleaded guilty to the theft at Clay Cross from June 26 and guilty to the theft from the Tesco, in Chesterfield, from July 3. 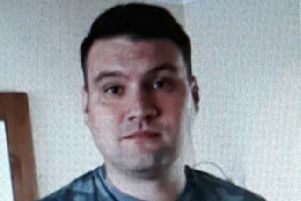 Defence solicitor Bertie Mather said Danielius is Lithuanian and was living in Barrow-in-Furness and was employed car-washing but he lost his job and he did not get his national insurance card back from his employer. The defendant has been living with a friend “rent and food-free” as a favour, according to Mr Mather, but without a national insurance card number he has struggled to get benefits. Magistrates adjourned the case to consider a probation report before sentencing Danielius later today, July 5.